Location. 33° 39.871′ N, 101° 10.531′ W. Marker is near Crosbyton, Texas, in Crosby County. Marker is at the intersection of U.S. 82 and Farm to Market Road 2591, on the right when traveling west on U.S. 82. Touch for map. Marker is in this post office area: Crosbyton TX 79322, United States of America. Touch for directions. Other nearby markers. At least 8 other markers are within 4 miles of this marker, measured as the crow flies. 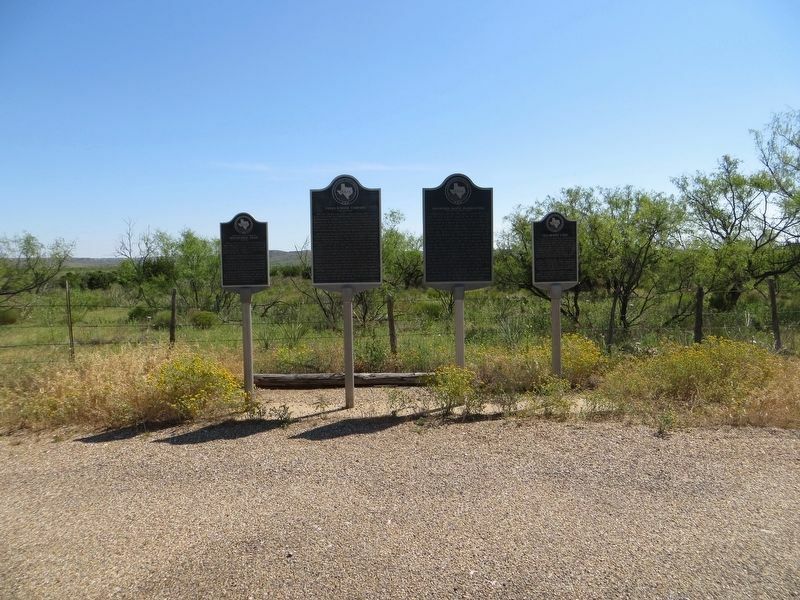 Texas Ranger Campsite (here, next to this marker); Old Dewey Lake (here, next to this marker); Main Supply Camp on Historic Mackenzie Trail (here, next to this marker); Crosbyton Cemetery (approx. 2 miles away); J. J. Pierce (approx. 2.1 miles away); Lamar Family (approx. 2.1 miles away); Crosby County (approx. 3.6 miles away); The Rock House (approx. 3.7 miles away). Touch for a list and map of all markers in Crosbyton. More. 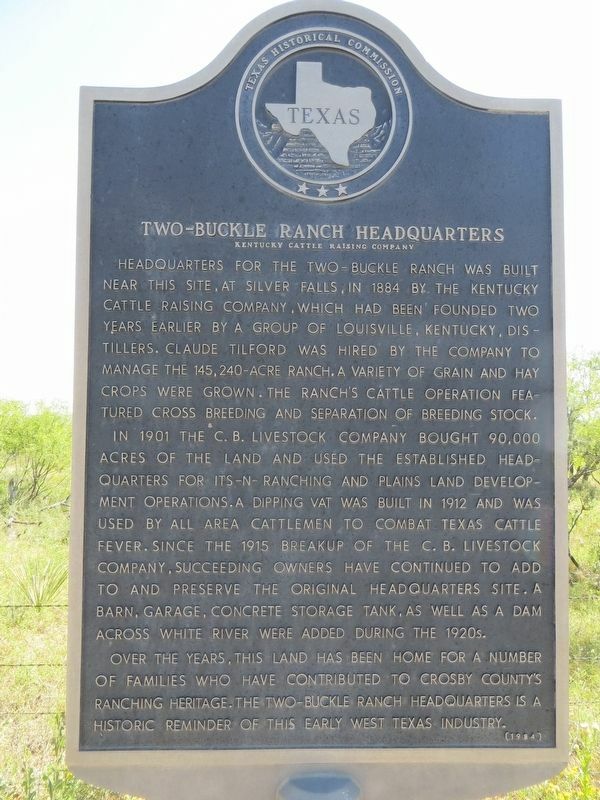 Search the internet for Two-Buckle Ranch Headquarters. Credits. This page was last revised on July 7, 2017. This page originally submitted on July 7, 2017, by Bill Kirchner of Tucson, Arizona. This page has been viewed 141 times since then and 11 times this year. Photos: 1, 2. submitted on July 7, 2017, by Bill Kirchner of Tucson, Arizona. Editor’s want-list for this marker. Photos of the ranch headquarters as described in the marker. • Can you help?